Wellington is the Kiwi craft beer capital, so if you only drink one thing there, make it a beer. In the central city there are a number of exceptional craft beer houses. A great example is Little Beer Quarter, which describes itself as 'beer geek heaven'. 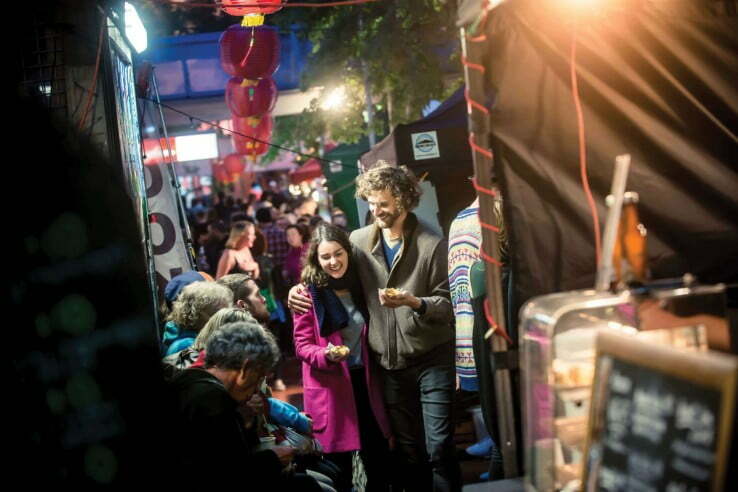 Just off Victoria Street, it's within walking distance of plenty of restaurants and hotels. Other local favourites include ParrotDog Brewery and the Hop Garden. Find more Wellington adventures like this here. 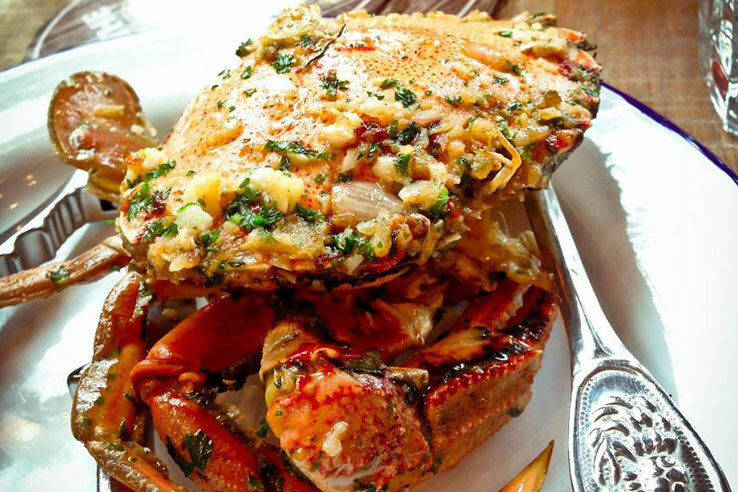 Relaxed, but with plenty of character, The Crab Shack is a great meal venue for anyone wanting a first taste of Wellington's seafood scene. It's centrally located in one of the capital's iconic seaside sheds (Shed 5 to be exact), making it an ideal stop for first-time visitors who are still getting their bearings. Another highly reviewed restaurant with a seafood focus is Ortega Fish Shack in Majoribanks Street. If pushing yourself to the limit sounds like your sort of getaway, the Rimutaka Cycle Trail in Lower Hutt is tough to beat. Starting at the Petone Wharf, it runs through 115km of incredible bush and hilly landscape. Along the way you'll see the Wairarapa coastline, as well as a couple of historic landmarks. How far you go is up to you, but if you reckon you have what it takes, it's a ride you won’t soon forget. Not far from Wellington's main street, the Ora Gallery holds some of the country's best examples of contemporary Kiwi art and design. Their displays are constantly updated to display a broad view of NZ's art culture - that means everything from the Buzzy Bee to works from up-and-coming local artists. When you've had your fill of art, you can take a break with a hot cuppa and a tasty bite to eat from the gallery's own café. Show the kids a different view of Wellington with a sea kayak tour of the harbour. To get organised head for Shed 16 on the waterfront. For older kids, there's a range of slightly more adventurous activities to have a crack at too. Paddle boarding adds an extra bit of challenge to the water, while inline skates, longboards and bicycles for hire will let them see the city from dry land. If that's not enough, New Zealand's largest climbing wall should meet the challenge. 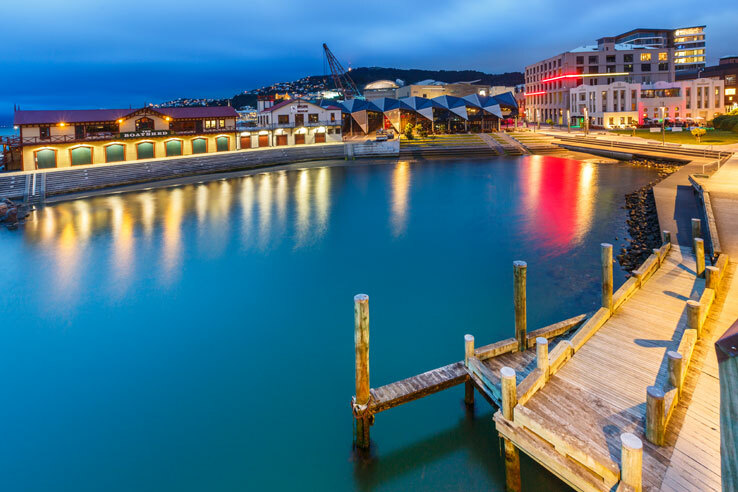 Wellington's waterfront is a great place to start your adventure. Lounge on the grass and soak up the harbour scenery or follow the Writers Walk - a series of quotations presented as outdoor art installations. When hunger strikes, a restaurant, café or food cart will never be far away. An hour or so of wandering also helps you to get your bearings, so when you're ready to pursue a specific adventure, you'll already know your way around. Rimutaka trail, Wairarapa image courtesy of Tim Bardsley. 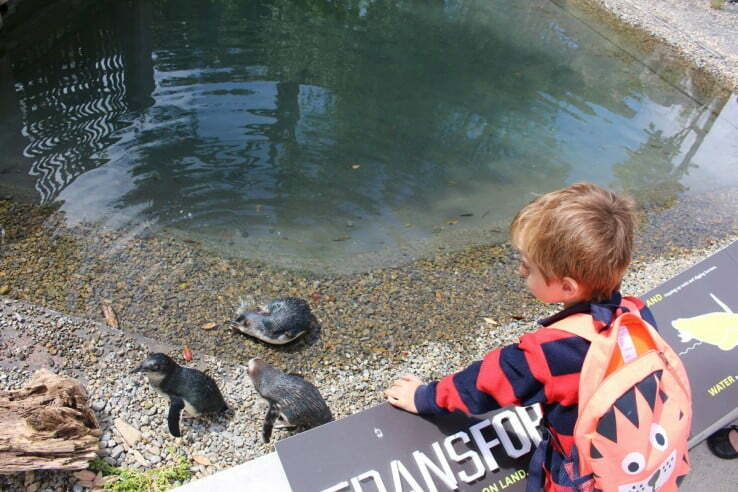 ; Child overlooking penguins image courtesy of Wellington Zoo. ; Oriental Bay image courtesy of Wellingtonnz.com; Cable Car image courtesy of WellingtonNZ.